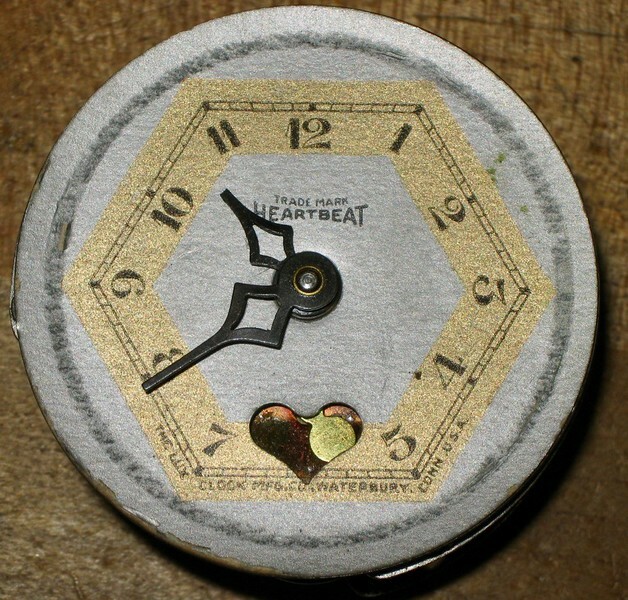 This small one day clock has the appearance of a "heartbeat" at the bottom of the dial. It is a disc that moves from side to side in a heart-shaped opening. The heartbeat clock was made in several styles of case.